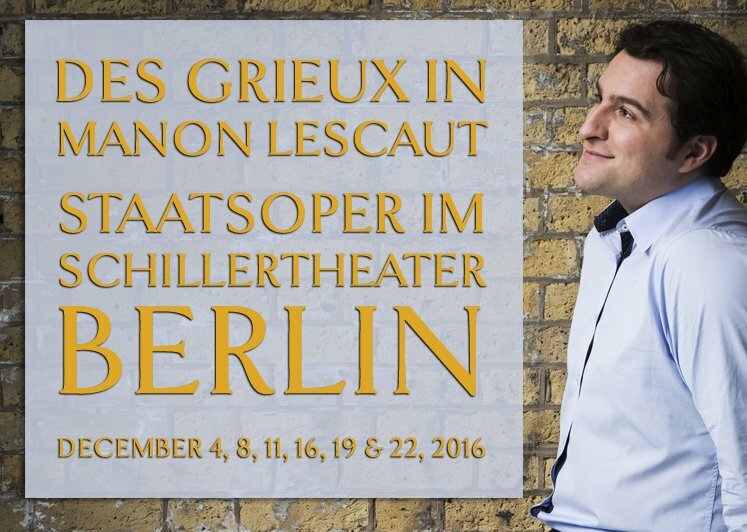 In December Riccardo Massi will perform Des Grieux in a new production of Manon Lescaut at the Staatsoper im Schillertheater, Berlin. In Jürgen Flimm’s staging Anna Nechaeva will sing the title role, Roman Trekel Lescaut, Franz Hawlata Geronte and Stephan Rügamer Edmondo. Mikhail Tatarnikov will conduct. There will be six performances on December 4, 8, 11, 16, 19 & 22, 2016.